Protect yourself from Smart meters. Smart meters throw out high levels of EMR and EMF’s which can affect health. 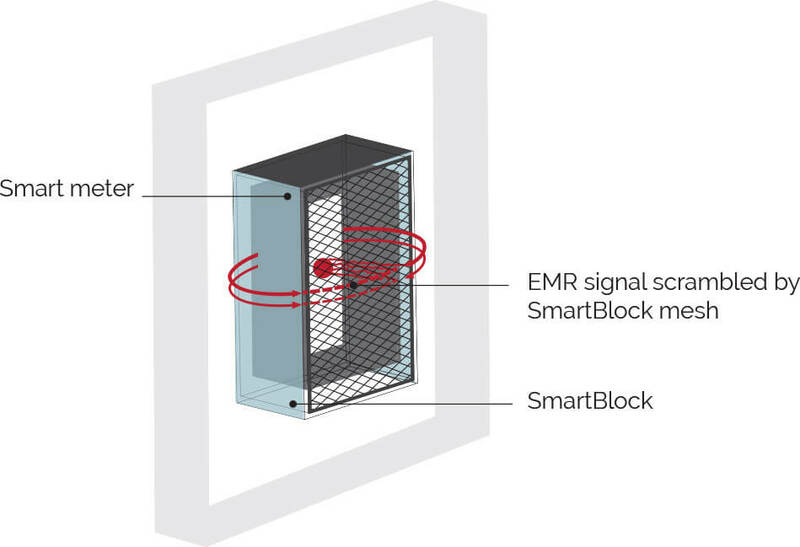 Smartblock is a locally designed product that is proven to protect you and your family from the high levels of EMR’s. Each Smartblock unit is custom made which is why you are required to upload a photograph of your meter box so we can be assured the Smartblock will fit they type of smart meter installed at your premises. Please note that we will be in touch to request a photo of your smart meter to complete this purchase. Smart Meter rollouts are happening all over Australia. Victorians weren’t given a choice to “opt-out”. NSW and Adelaide are getting smart meters installed now. Western Australia has some rolling out and there are some in Queensland. Many people aren't notified when a smart meter has been fitted to their house. Unfortunately this is the situation. Smartblock is an Australian family business that manufactures electronic blocking devices for the Australian and International market. Their products are made from quality local sources and are designed to provide a safe environment for your family. The Smartblock unit is a Faraday Cage that fits neatly over all sized smart meters that have been supplied in Australia. It protects families from the high levels of electromagnetic radiation (EMR) emitted by smart meters. In Australia most meter boxes are situated towards the front of the house on the main bedroom wall or lounge-room. The World Health Organisation recommends that the “safe” amount of EMR is 612mV/m2 and smart meters throw out at least three times that amount. When Smartblock is placed over the smart meter the levels of EMR drop by up to 99% and levels can go from 2000mV/m2 to under 10mV/m2. This level is still enough to transmit your real time power usage to the grid. When a Faraday cage is placed in an external electric field, then the electrons on the conductor redistribute themselves in such a way that they neutralize the effect of the field in the interiors of the conductor. As a result, any object within the cavity of the conductor remains shielded from electric field effects. The EMF’s and EMR comes from the small glass panel at the front of the smart meter. It travels outwards and radially goes back into the home. 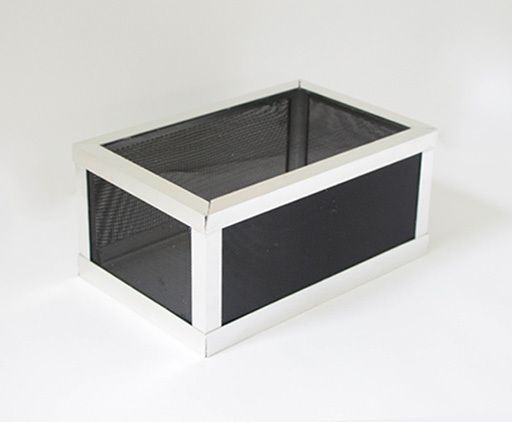 The parallel lines of the Faraday Cage scramble the signal and the harmful radiation is blocked. A Faraday cage is named after its inventor, the English scientist Michael Faraday. In 1836, he observed that an excess charge on any hollow conductor remained on its surface and did not affect anything placed within it. For the purpose of demonstration of this fact, he built a room covered on the exterior with metal foil and subjected it to the electric field created by high-voltage discharge from an electrostatic generator. With the aid of an electroscope he successfully showed the non-existence of any charge inside the walls of the room. Does Smartblock need shielding at the back? This is the most commonly asked question. The answer is “no”. 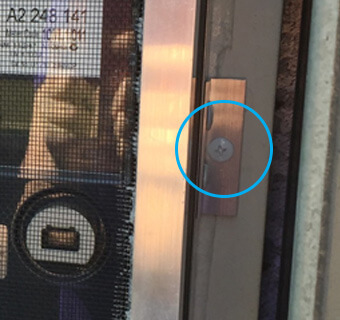 Because the meter box is grounded as well as the smart meter itself the EMR is contained within the cage. It doesn’t heat up and you can see or feel it. With Smartblock there is no need for shielding with lead paints or fabric. Some customers like to do both and that’s fine. Your Smartblock is a one off purchase that you keep for life. 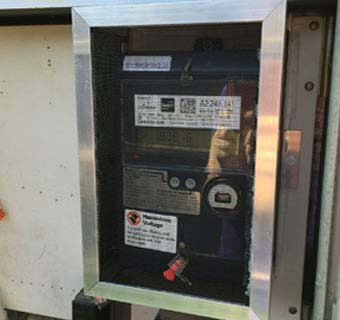 You aren’t tampering with the power company’s equipment and you don’t have to go to the expense of moving your meter box. 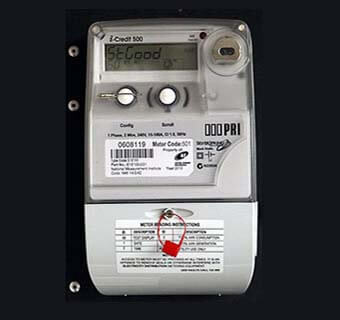 It costs more to keep your analogue meter and then yearly fees to have it read by a person.